We are a Top 10 Company to Work for in Wales! In impressive company, amongst the likes of Admiral Group, Willmott Dixon Construction, Marriott International and other big brand names, Thomas Carroll has been named the Sunday Times 8th Best Company to Work for in Wales in 2019. We are elated to be featured alongside so many well-known businesses that we admire. I look forward to celebrating this latest accolade with the Thomas Carroll team”. At Thomas Carroll, we understand that busy work and home lives mean that there’s not always time to speak to an insurance broker during daytime hours. 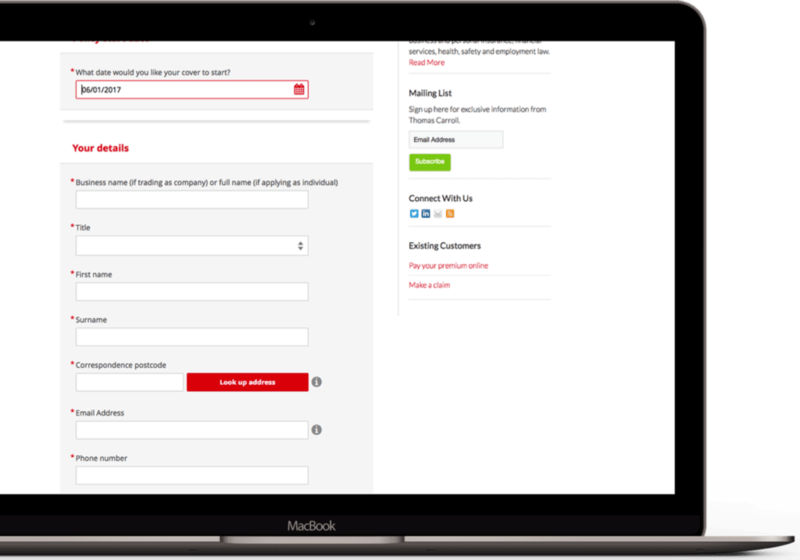 Get a business and/or home insurance quote online with instant cover. Businesses choose us for wide insurance cover, competitive premiums and in-house claims handling. We also provide a complete insurance solution for families and have managed the personal insurance of directors, business owners and employees for more than 45 years. As a valued client, we would like to make sure that you receive the very best customer service. Here are some useful links to help you. Throughout the year, we host a range of courses and networking events for business owners, directors and professionals. To keep you up to date with key information and regulations, our training sessions cover the latest industry hot topics surrounding insurance, risk and wealth. Book your place today. In the latest revamped issue, we celebrated our 45th Birthday and profiled inspiring clients such as Techniquest, Stephens and George, Real Wrap, Abergavenny Fine Foods and the WRU’s Gareth Davies. A leading panel of industry experts discuss Brexit in detail as we keep an eye on the future. 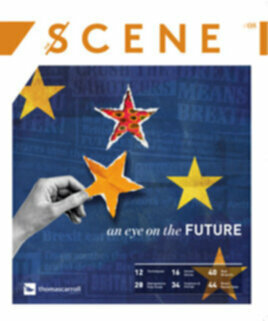 Click here and subscribe to receive your free digital or hard copy of the Scene. What’s included?